On the weekend of 10-11 March 2018, a GTTP teacher training workshop will be held at the NAOJ Mitaka Campus in Tokyo, Japan. The workshop is oriented for teachers, teacher trainers, informal educators, etc. and will be in English. The workshop will include a set of innovative international projects focused on STEAM and inquiry-based learning. Participants will discover more about collaborative educational methodologies for a classroom environment and the use of storytelling for education. The workshop will be held in collaboration with Japanese educators which will allow a unique opportunity to bridge between the Japanese educational community and international projects. The workshop is hosted by NAOJ, Mitaka Campus and IAU Office for Astronomy Outreach. – SUPPORT THE USE OF ONLINE EDUCATIONAL TOOLS (like online science and math labs, game-based applications, e-tools that facilitate the teaching and learning process) through well-structured educational activities, thus supporting teachers in modernizing their teaching skills and bringing them up to speed with students’ needs and interests. – SUPPORT THE MEANINGFUL COLLABORATION BETWEEN TEACHERS OF THE SAME SCHOOL by enhancing their current teaching practices, making them more effective and better tailored to the needs of students. 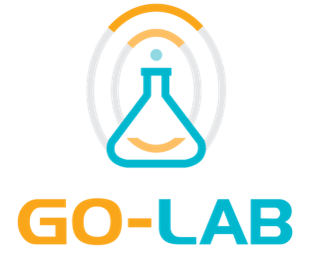 The Go-Lab Project (Global Online Science Labs for Inquiry Learning at School) is a European collaborative project that concentrates on providing access to online laboratories in order to enrich classroom experience in schools as well as learning activities out-of-class. The overall aim of the Go-Lab Project is to provide students an opportunity to gain hands-on experience in science by conducting experiments using modern laboratory equipment by themselves, deepen their knowledge in fundamental sciences, and to motivate them for making scientific carrier in the future. Go-Lab creates an infrastructure (the Go-Lab Portal) to provide access to a set of online labs from worldwide renowned research organizations, such as European Space Agency (ESA, the Netherlands), European Organisation for Nuclear Research (CERN, Switzerland), Núcleo Interactivo de Astronomia (NUCLIO, Portugal), as well as multiple universities and institutions. These online labs can be used by universities, schools, instructors, students and lifelong learners to extend regular learning activities with scientific experiments that can be conducted not only by teachers as a demonstration, but also by students themselves giving them real experience of scientific work. To support pedagogical and methodological aspects of this approach, the Go-Lab Portal includes a social network for teachers allowing them sharing and discussing their experiences and providing mutual support. Further, Go-Lab supports community of teachers interested in using online labs in their classes by offering workshops introducing the use of virtual experimentations and remote laboratories as well as inquiry-based science teaching techniques. This allows educators to upgrade their current teaching practices and get their students engaged in science topics by undertaking active guided experimentation carried out on top-level scientific facilities. This is the foreseen role of the proposed project, to describe and implement at scale a process that will facilitate the transformation of schools to innovative ecosystems, acting as shared sites of science learning for which leaders, teachers, students and the local community share responsibility, over which they share authority, and from which they all benefit through the increase of their communities’ science capital and the development of responsible citizenship. “Stories of Tomorrow (STORIES) is a research and development project. The project will use the concept of storytelling a catalyst for the effective interaction between art and STEM disciplines which share in many ways similar values, similar themes and similar characteristics. The STORIES project proposes to introduce creative approaches in STEM education to generate alternative ideas and strategies within scientific enquiry as an individual or group, and reasoning critically between these. The project will design and test a new vision for teaching and help develop strategies for how teachers’ roles and conditions can support and enable deeper learning for students. To do that, the project will include and use innovative and meaningful digital technologies, such as advanced interfaces, learning analytics, visualization dashboards and Augmented/Virtual reality applications and build a storytelling platform where students will develop and publish stories about a Mars Mission.